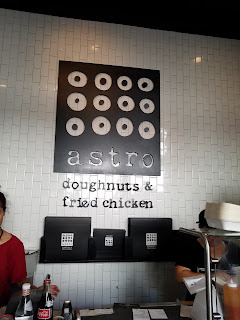 Today's post is about Astro Doughnuts & Fried Chicken in Washington, DC. 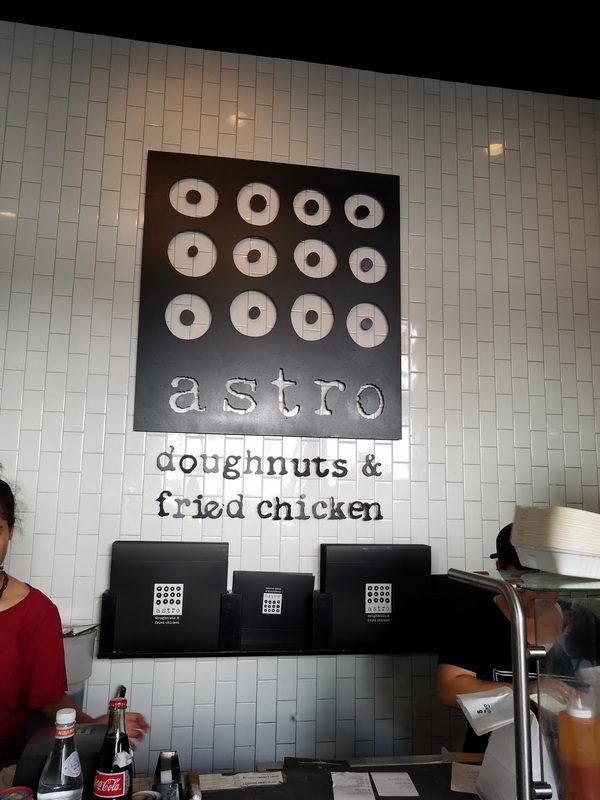 Astro Doughnuts & Fried Chicken is a tiny shop on G Street NW between 13th and 14th Street in Washington, DC. 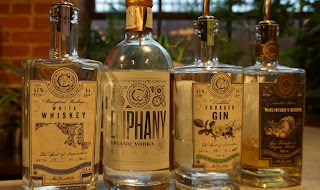 Despite its size, and the almost constant line when I went, I had a very pleasant experience. 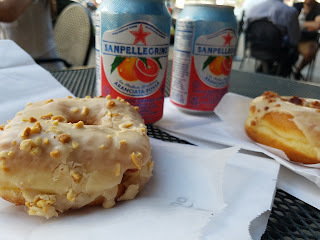 My friend and I each got a doughnut and a Blood Orange San Pellegrino. She got the PB&J doughnut, which is a strawberry filled doughnut with peanut butter icing (including peanut pieces). The highlight for my friend was how fluffy it was because the propensity of filled doughnuts toward heaviness. Additionally, although filled, it was still a ring. 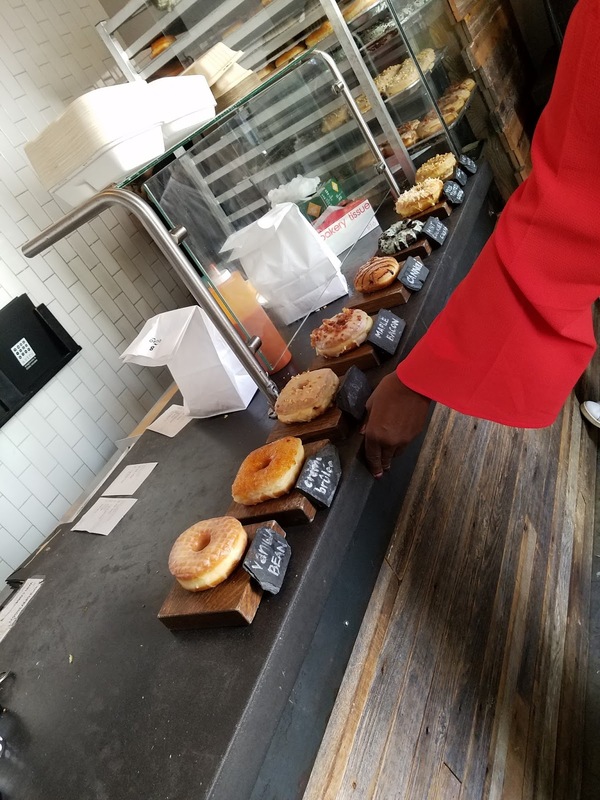 I got the Maple Bacon doughnut, which is a plain doughnut maple icing and bacon pieces. My doughnut was also fluffy, which speaks to their consistently good doughnuts. My favorite part was the combination of flavors and textures. 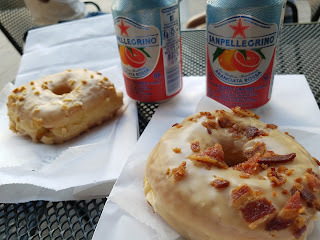 The light doughnut paired with the bacon, and the savory bacon with the maple icing. 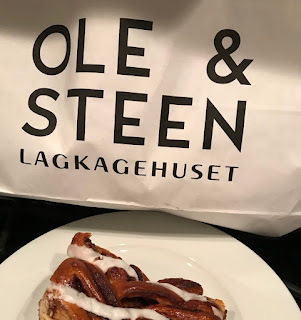 Also, the icing was not overly-sweet, so it did not overwhelm the bacon. 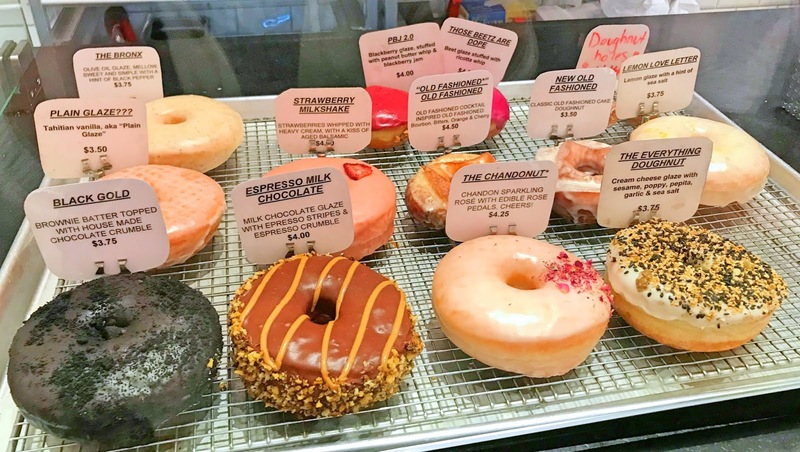 They also offer fried chicken, sandwiches, and various sides along with around eight doughnut choices. 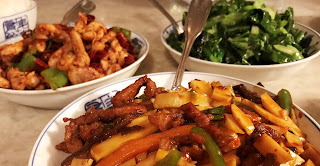 We didn't try the other food, but I will definitely go back!